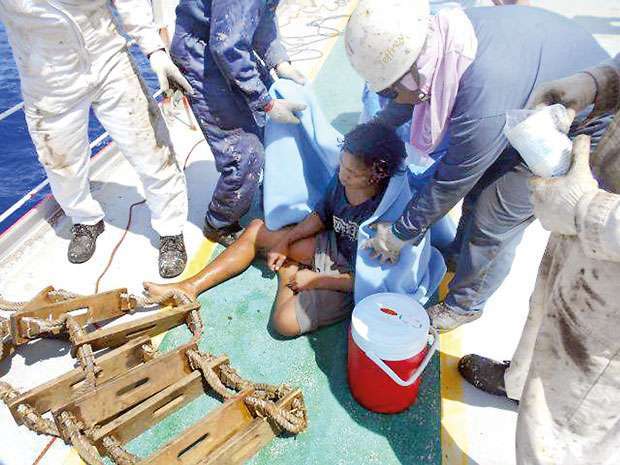 An Indonesian teenager has beat the odds of survival after being rescued at sea after a 49 day ordeal. Aldi Novel Aldilang, only 19 years of age, works as a lamp lighter on a rompong (a floating fish trap that attracts fish by light) in North Sulawesi in Indonesia. 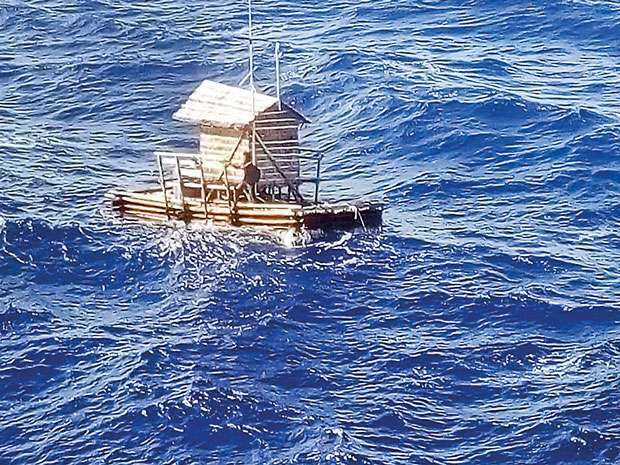 The rompong is built like a simple hut that’s attached to the sea bed by a rope and kept afloat by buoys. Unfortunately, during the night, strong winds snapped the rope holding the romping in place and it was swept away on the northernly wind. As rompongs aren’t classified as a boat they do not have an engine or paddles and with only a week’s supply of food, fresh water and fuel for the small cooking stove, his provisions soon ran out. The clever young man then caught fish and by tearing wood off the floating structure he was able to make a fire to feed himself. Ingeniously, he filtered salt water through his t-shirt which stopped him from dying of dehydration. While stranded at sea many large ships passed him but never saw him. Finally, he spotted a bulk carrier bearing the name Arpeggio. Unsuccessfully he tried waving down the ship but like ships before, they were unable to spot him. Aldi then remembered that a friend had taught him a radio frequency he could use if he was ever in trouble. Hearing his distress call, the captain of the Arpeggio turned around and spotted the rompong but with the waves so high they were unable to get close enough to the structure to rescue Aldi. It was then, in another act of courage, Aldi jumped into the ocean and was able to catch a rope tossed down by the Arpeggio’s crew and brought up on deck where he was given food, water and fresh clothes. 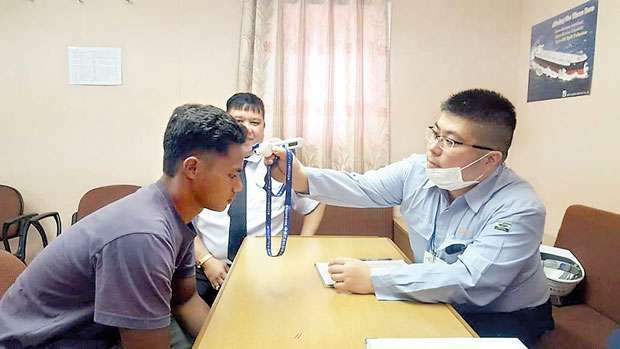 Finding out he had floated all the way to Guam, his rescuers advised him they were on their way to Japan and they would take Aldi back with them and the Indonesian Consulate would organize all the documents needed to transport Aldi back to his family. After a brief period in quarantine in Japan, Aldi was given the go ahead to fly home and is now reunited with his family in Wori, Manado and is in good health after his survival.